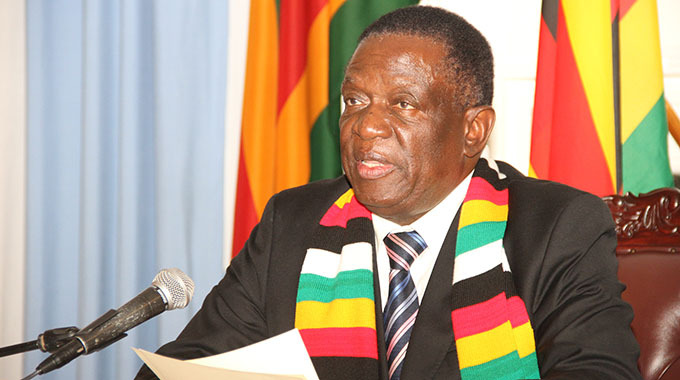 President Mnangagwa yesterday said the July 30 harmonised elections represented maturing entrenchment of democratic traditions and values in Zimbabwe. The elections were won by President Mnangagwa, who garnered 50,8 percent of the vote against MDC-Alliance leader Mr Nelson Chamisa’s 44,3 percent. Zanu-PF won over two thirds majority in the National Assembly. In his maiden speech at the Sadc Summit of Heads of State and Government which officially opened here yesterday, President Mnangagwa said the focus was now on revamping the economy and uplifting the people’s standard of life. “The 30th July harmonised elections represented maturing and entrenchment of democratic traditions and values of my nation,” said President Mnangagwa. He briefed the summit on the elections. “As you are aware, my country held the much-anticipated harmonised general elections on 30th July 2018 following my commitment to open up the democratic space according to our laws guided and informed by the Sadc principles and guidelines governing elections as well as the African Union Declaration on principles governing Democratic elections in Africa. President Mnangagwa said he preached peace throughout the elections period. “I took it upon myself to preach peace, non-violence, harmony, unity, and love before, during and after the elections,” he said. “This saw the unprecedented number of people freely exercising their democratic right to elect leaders of their choice. President Mnangagwa said he was humbled by the support Zimbabweans entrusted in him through the ballot. “I am deeply humbled and honoured by the show of confidence in me and the mandate conferred on my party Zanu-PF,” he said. President Mnangagwa said he drew inspiration from the collective hopes and dreams of the people of Zimbabwe and pledged servant leadership. He thanked Sadc, Comesa and the AU for their support. “We are indeed grateful to Sadc, Comesa and the AU for sending election observer missions and for the technical assistance rendered to the Zimbabwe Electoral Commission,” he said. “We are happy that the observers were unanimous in their verdict that the elections were held in an unprecedented peaceful, orderly and free environment and the outcome represented the free and democratic will of the people of Zimbabwe. “We have taken note of all the observer mission recommendations, particularly areas we need to improve in future”. President Mnangagwa reiterated his commitment to peace, unity and harmony among Zimbabweans to achieve sustainable development and economic growth. “Your Excellencies, going forward, my Government is determined to leapfrog and grow our economy which has suffered from many years of isolation and stagnation,” he said. President Mnangagwa said Zimbabwe counted on the support and solidarity from Sadc. He applauded Namibia for thoughtfully coming up with the theme for the 38th Sadc summit: “Promoting infrastructure development and youth empowerment for sustainable development”, saying it resonated with his administration’s economic thrust. President Mnangagwa’s Government is prioritising infrastructure development, women and youth empowerment. He emphasised peace and security in the Sadc region as these were key economic development enablers. President Mnangagwa said Zimbabwe was committed to Sadc values and objectives of ensuring peace, security, democracy, and industrialisation, among other things.